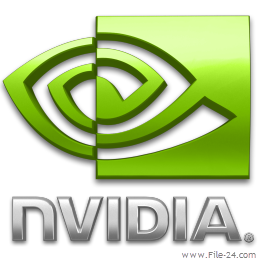 "nVIDIA GeForce Driver 314.22 WHQL"
nVIDIA GeForce software 310 unleashes the full power and features in nVIDIA’s desktop, gaming, platform, workstation, laptop, multimedia, and mobile products. Delivering a proven record of compatibility, reliability, and stability with the widest range of games and applications, nVIDIA GeForce software ensures the best experience with your nVIDIA hardware. Rock-solid system stability, greater compatibility, and reliability with nVIDIA® Unified Driver Architecture (UDA). This driver package supports GeForce 8, 9, 100, 200, 300, 400, 500 and 600-series desktop GPUs as well as ION desktop GPUs. This driver package also includes the 3D Vision Controller driver. This is the recommended GeForce driver for the Crysis 3. It delivers a smoother gaming experience, improves single GPU performance by up to 5%, and boosts SLI performance by up to 65% (compared to GeForce 310.90 WHQL driver). EA’s recommended GeForce GPU for Crysis 3 is a GeForce GTX 560 or higher. For the Hi-Performance PC Specification, EA recommends GeForce GTX 680. Increases performance by up to 5% in Crysis 3 (measured with GeForce GTX 680 at 1920×1080 high settings).